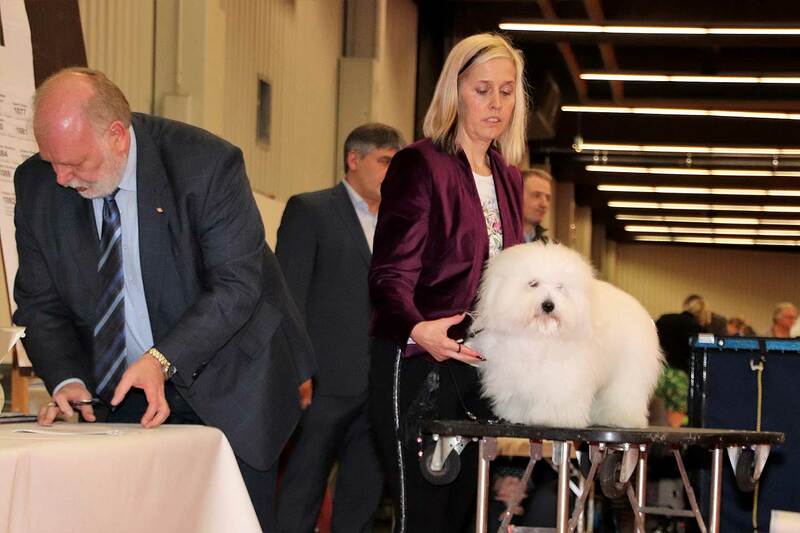 Cotonbrie Narciso got a EXC 1, CAC, Winner Karlsruhe and was BOB in Champion Class. 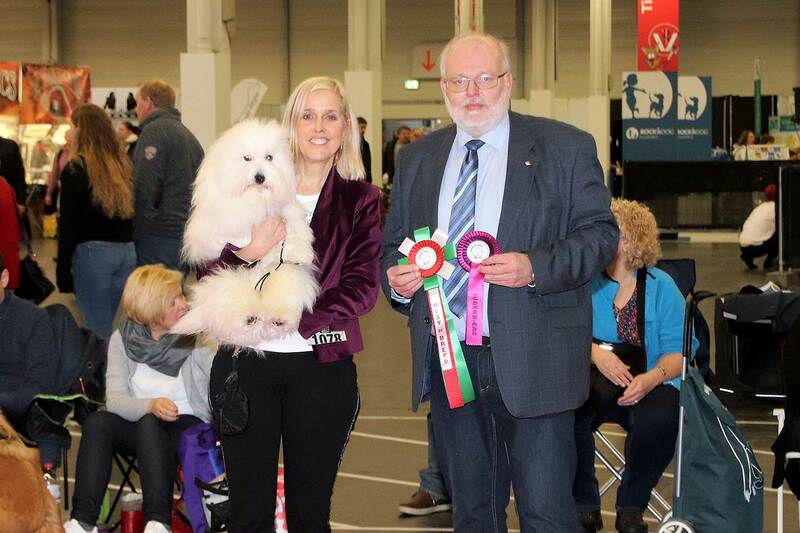 Honorable judge Erwin Deutscher from Austria awarded Narciso the 3th place in the big group 9 in honor ring! 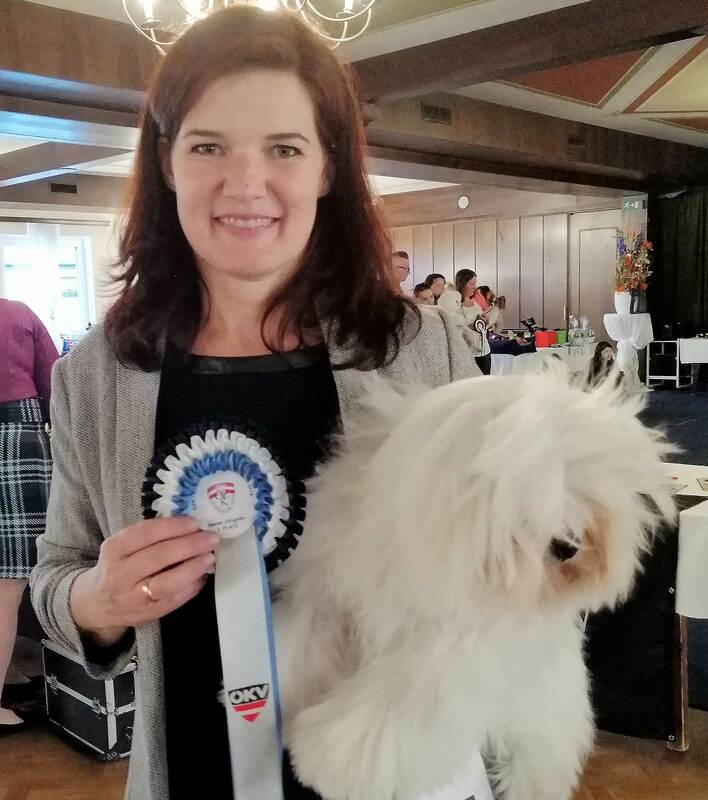 Soraya vom Donauvillino got VP 1 with a super judgement. 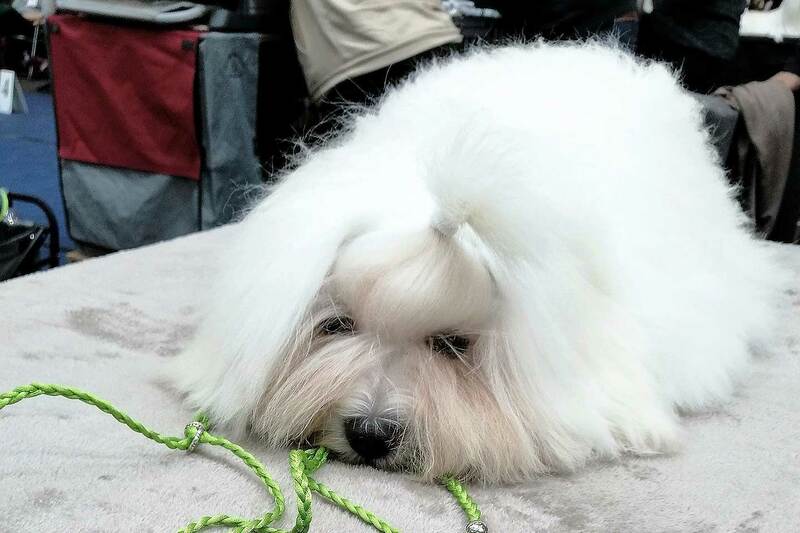 She was Best Puppy 2. 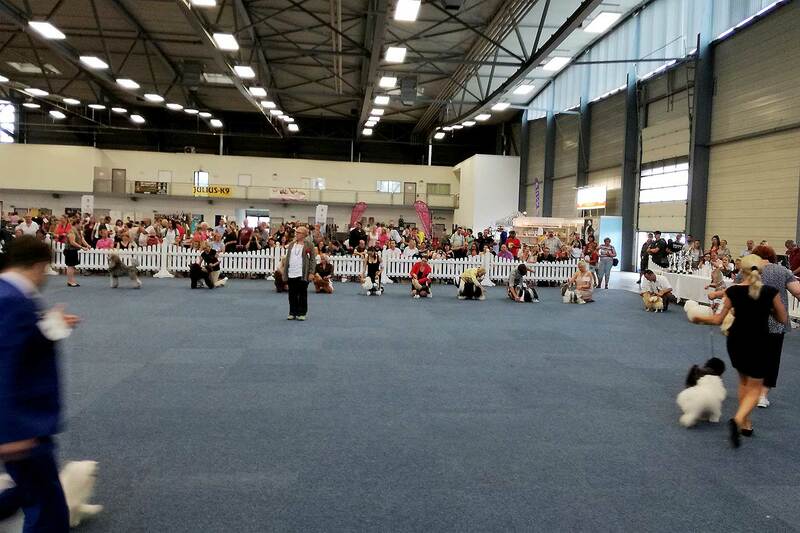 Place of the show! 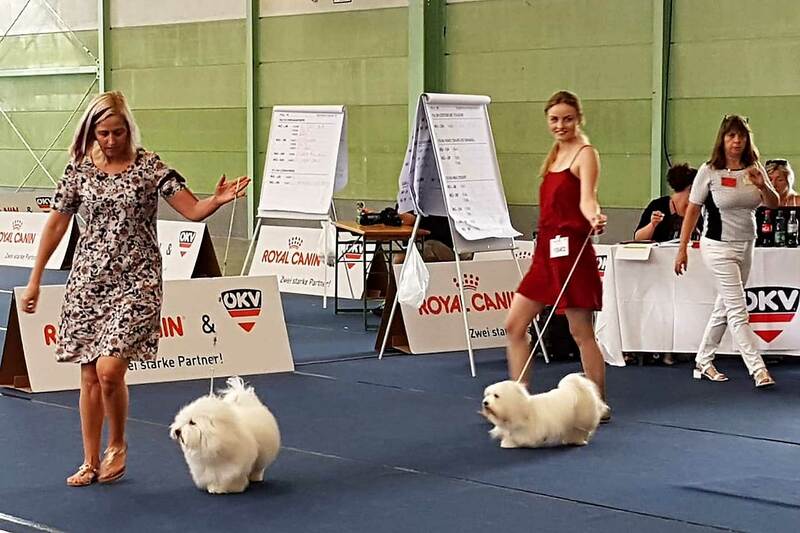 Well done Eva & Soraya! 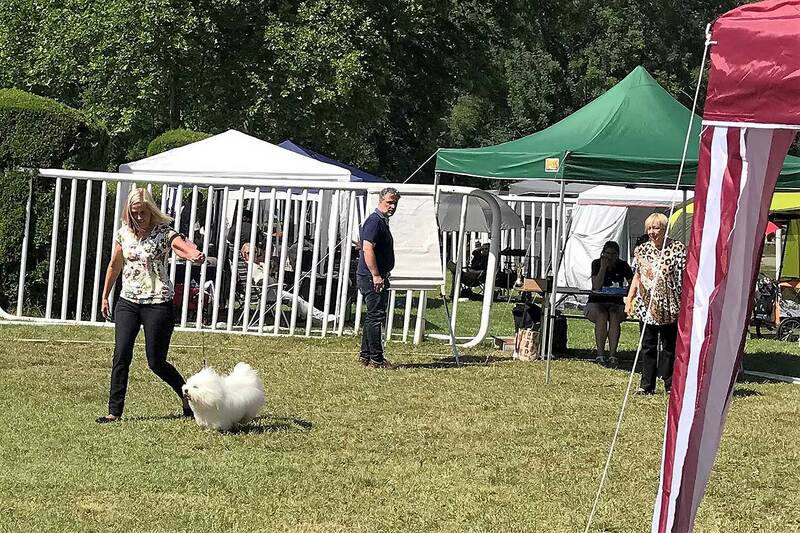 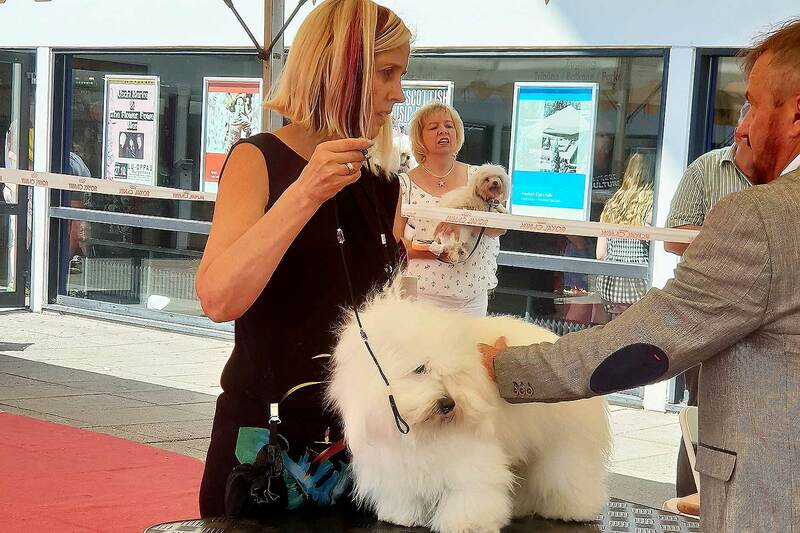 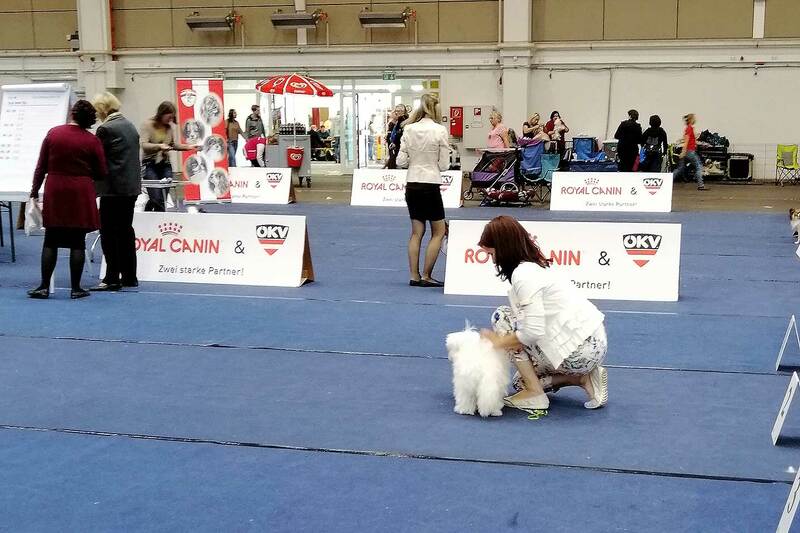 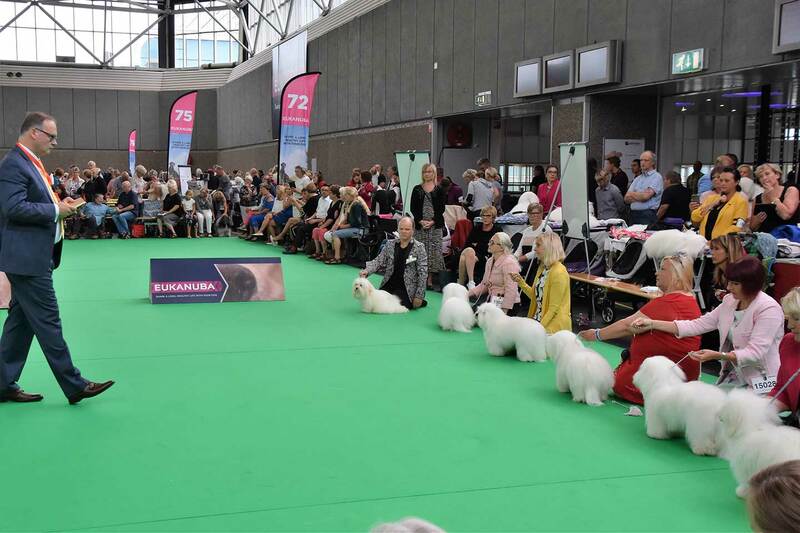 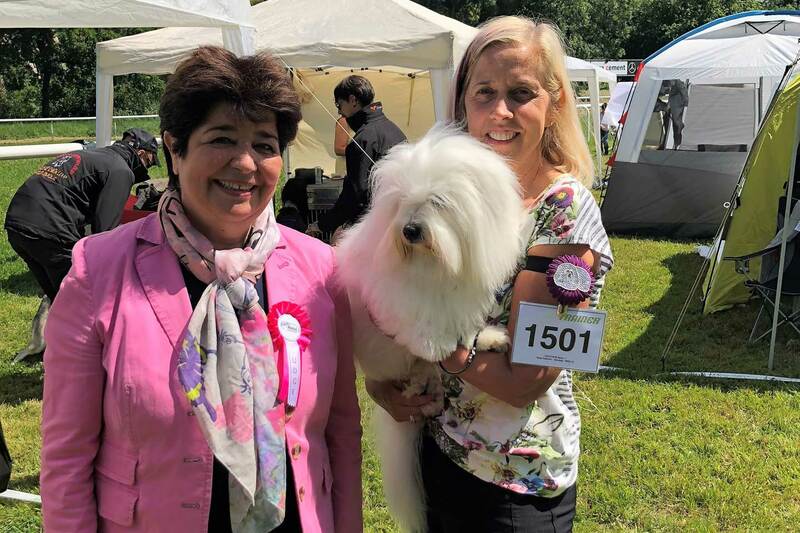 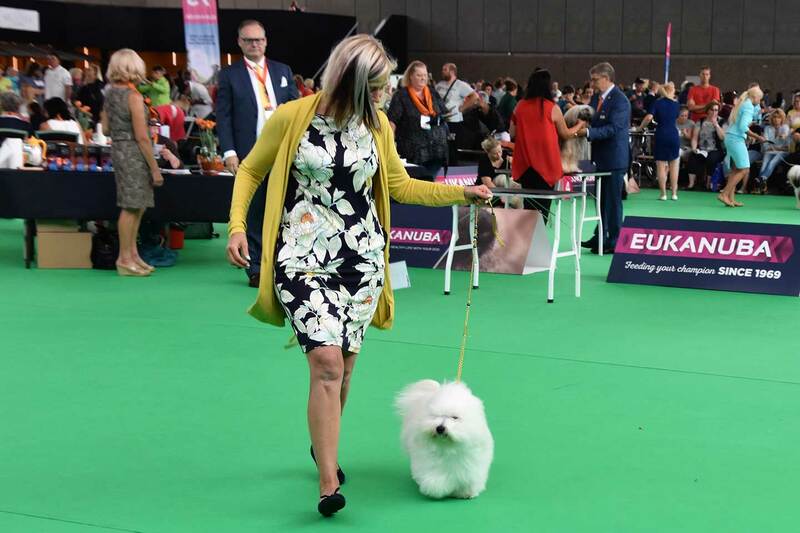 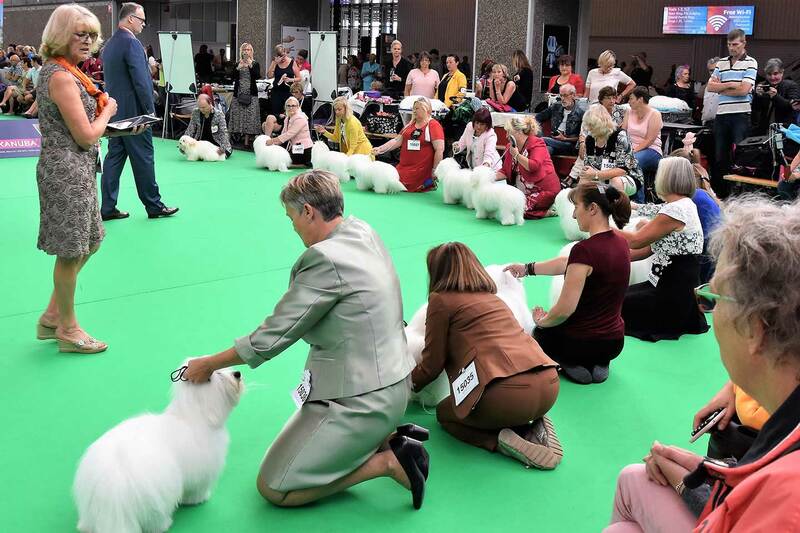 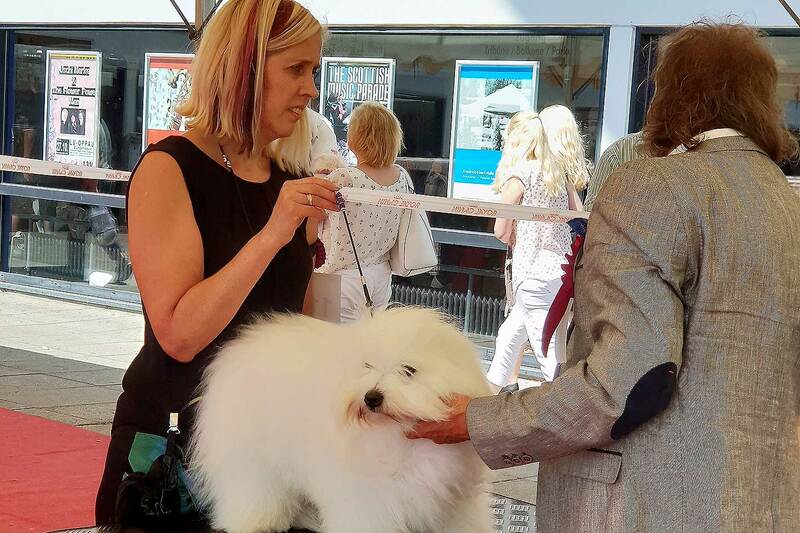 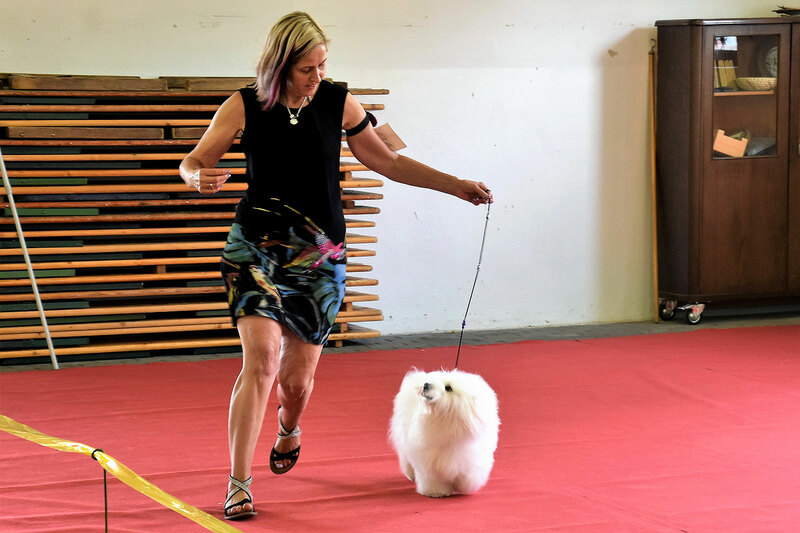 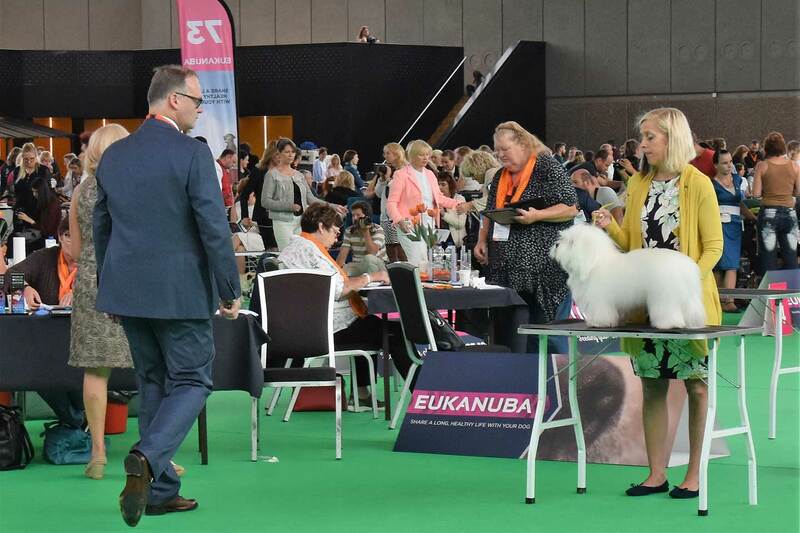 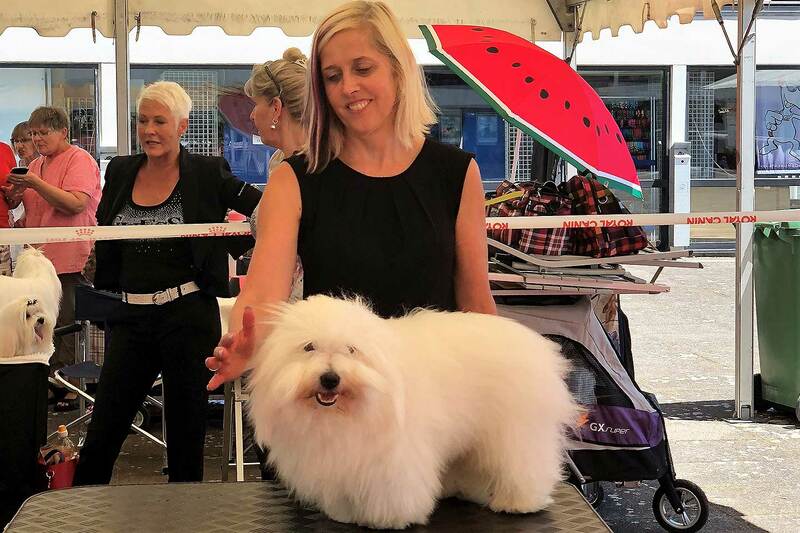 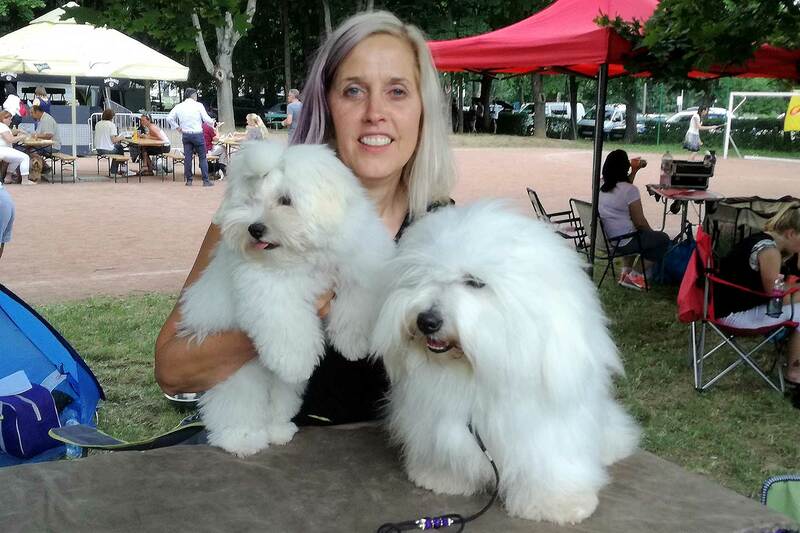 Soraya vom Donauvillino got at her first show VP 1 with a super judgement. 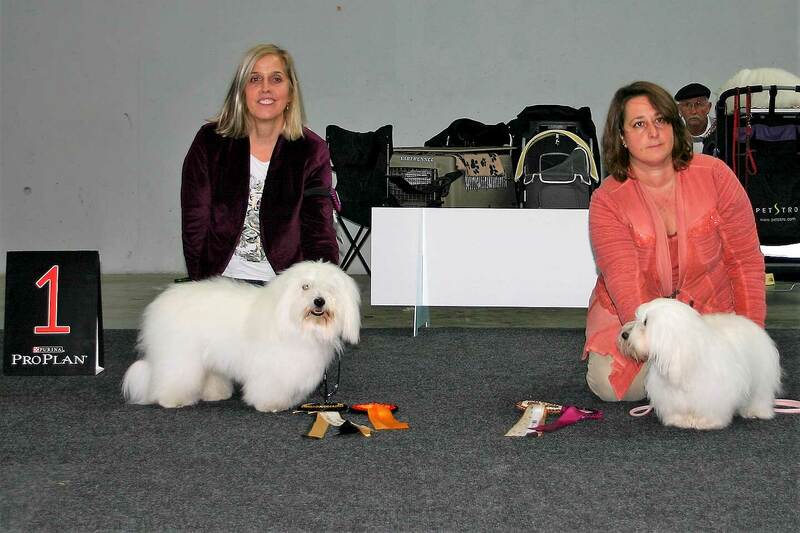 Well done Eva & Soraya! 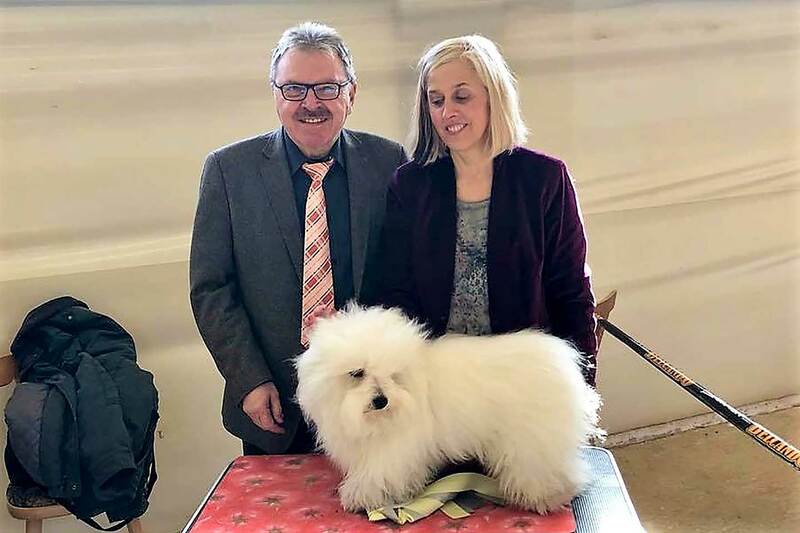 Cotonbrie Narciso got a EXC 1, CAC, CACIB and was BOB in Intermediate Class. 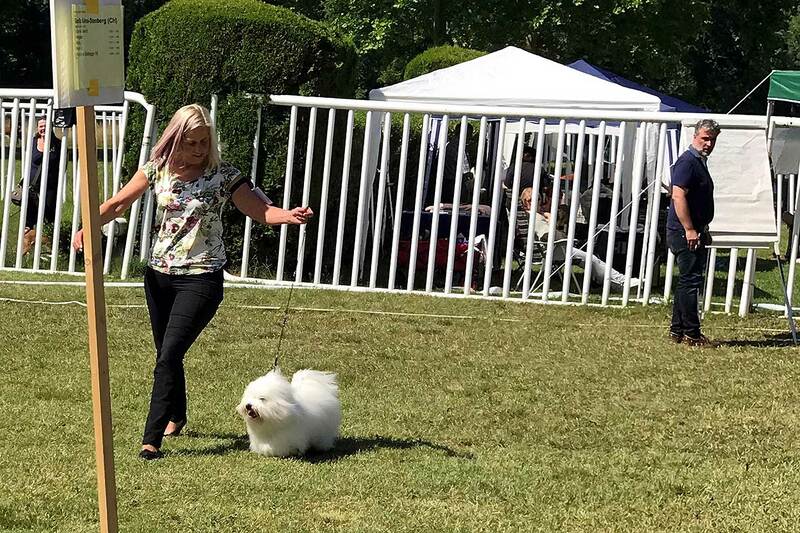 Mrs. Orietta Zilli from Italy awarded Narciso the 5th place in the big group 9 in honor ring! 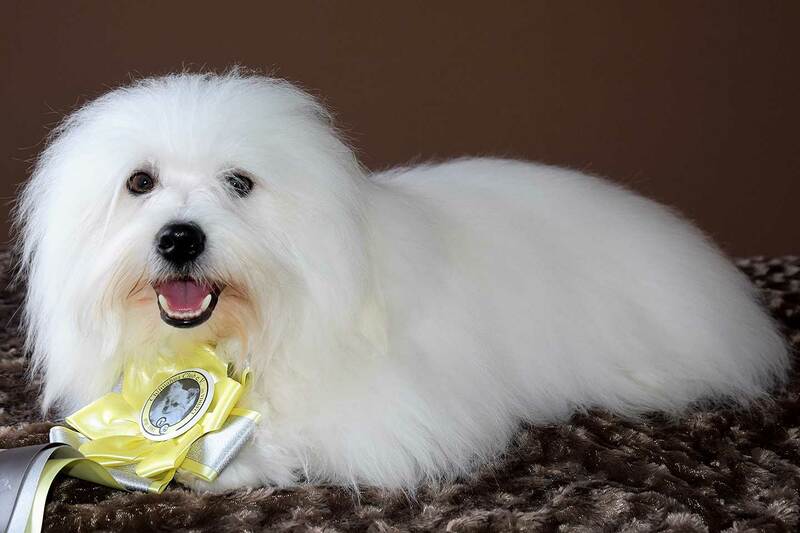 Cotonbrie Narciso got a EXC 1, CAC, CACIB and was BOS in Intermediate Class. 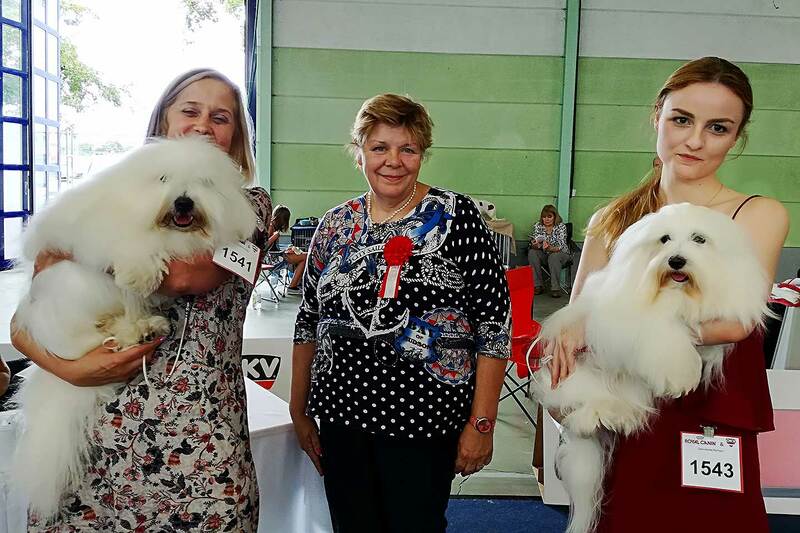 Cotonbrie Narciso got a EXC 1 & CAC in Intermediate Class. 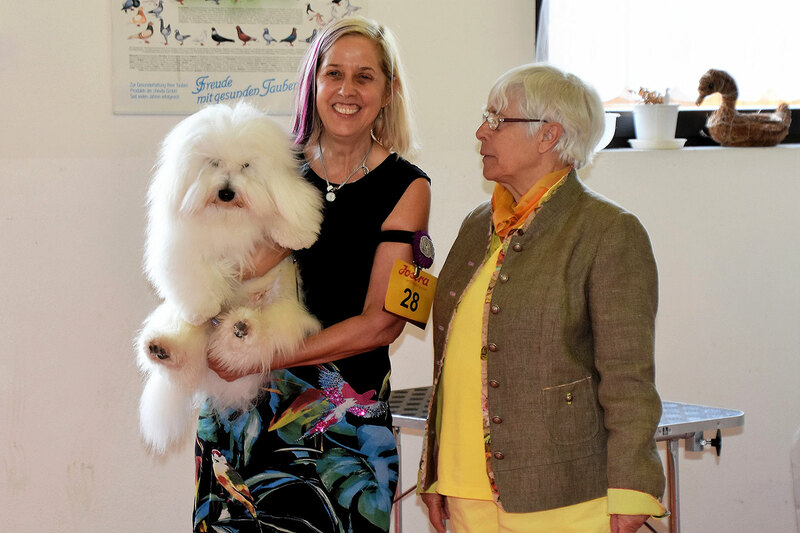 Cotonbrie Narciso got a EXC 1, CAC, CACIB and was BOB in Intermediate Class. 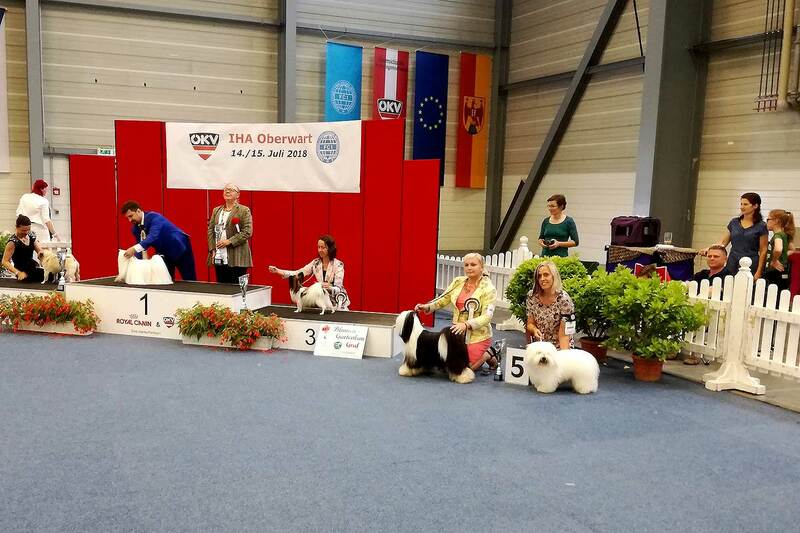 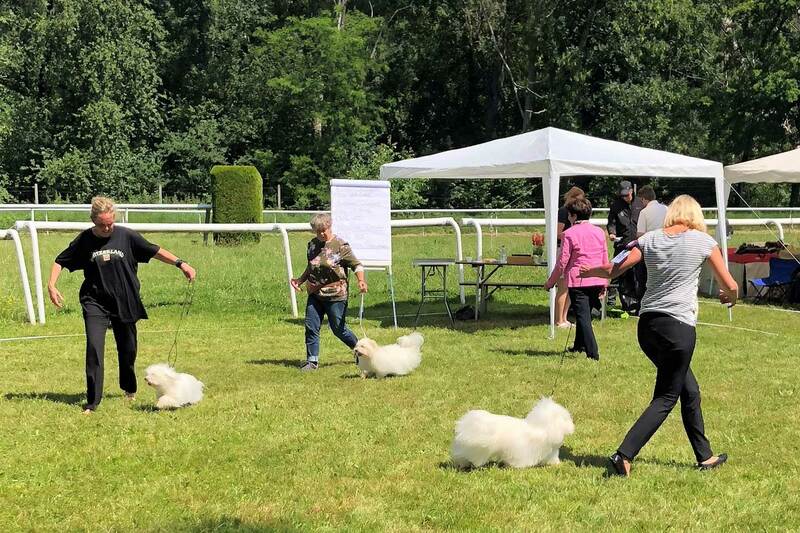 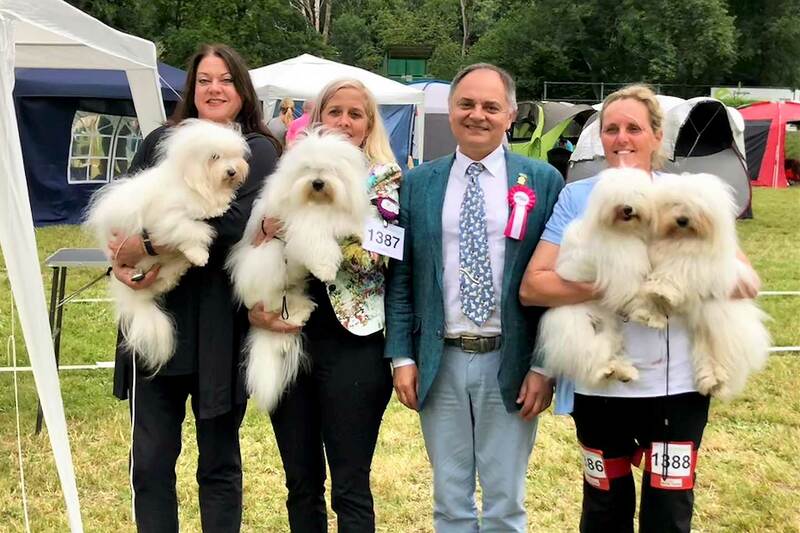 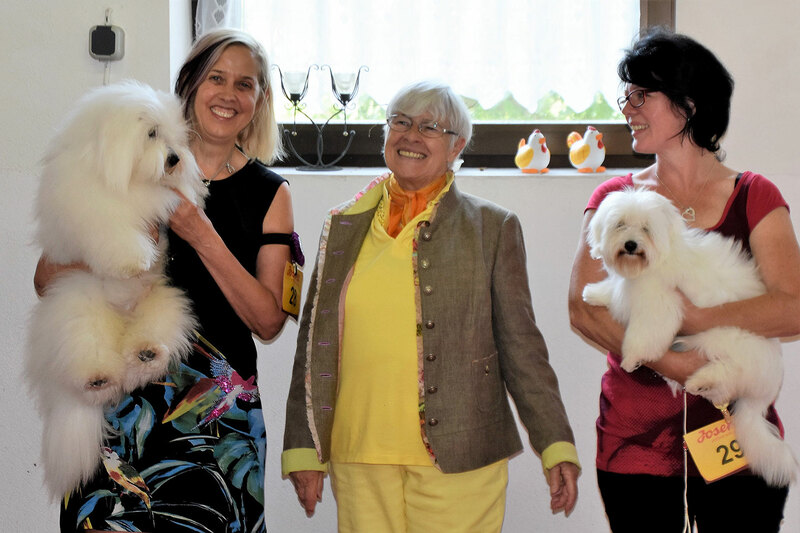 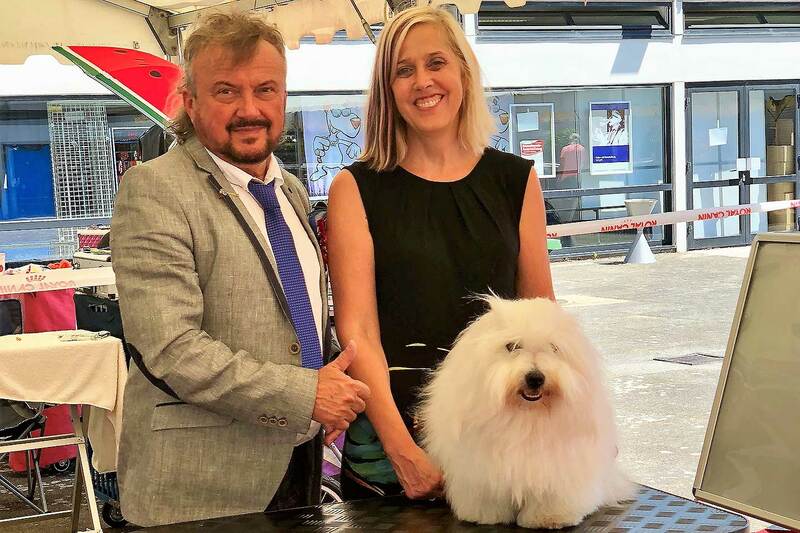 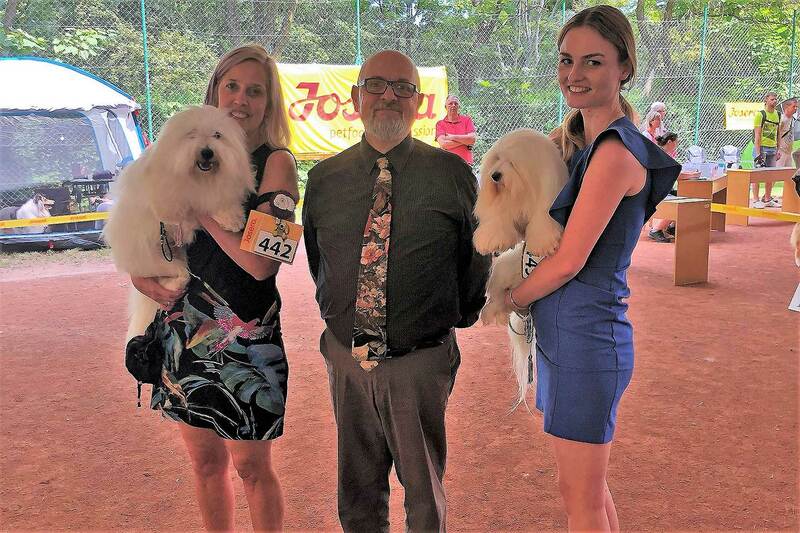 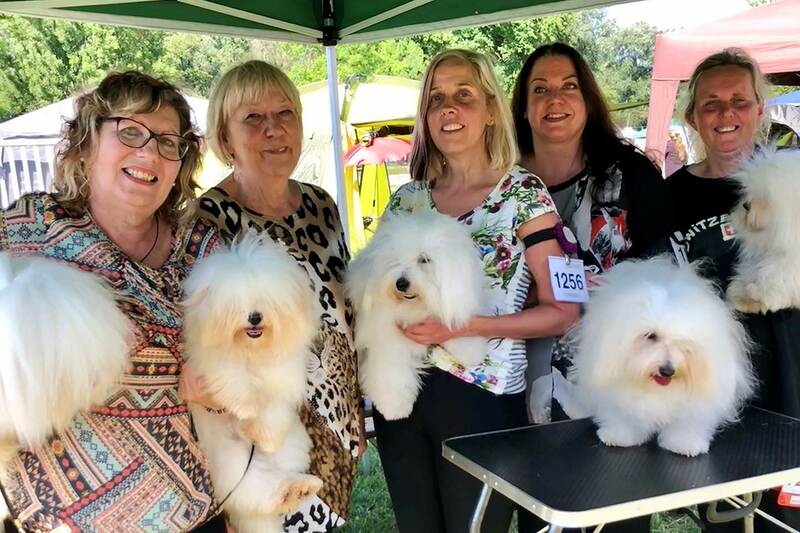 Narciso was selected from Christine Rossier (CH) for the best 6 dogs in group 9! 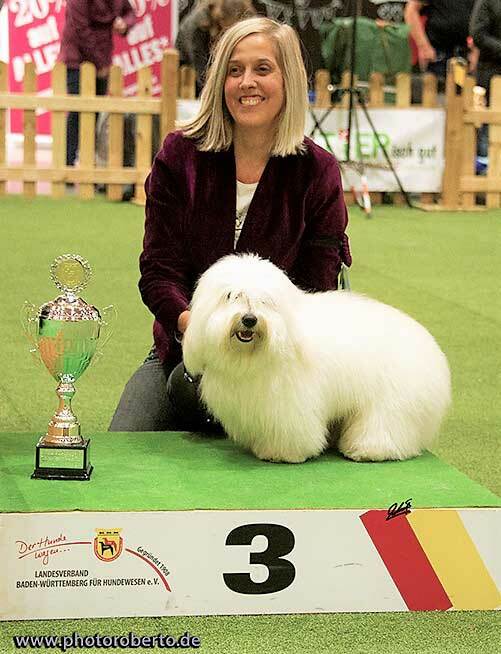 NARCISO is now “Swiss Show-Champion” at the age of less than 16 month! 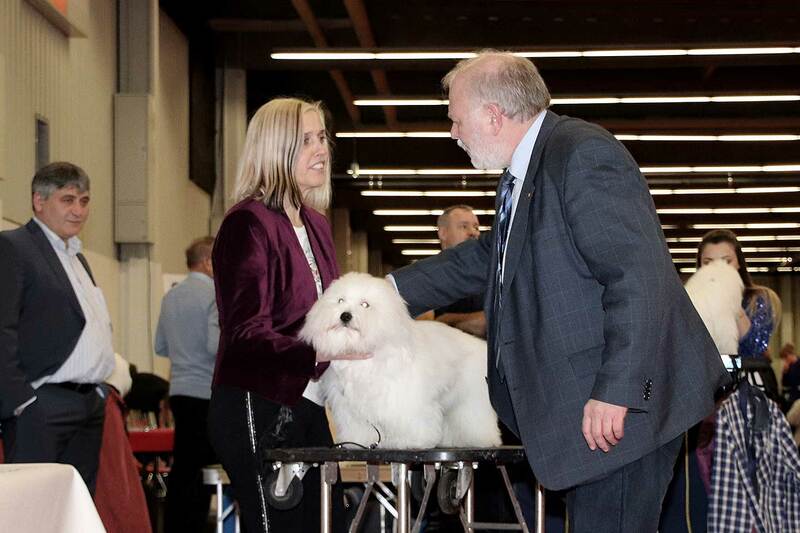 Cotonbrie Narciso got a EXC 1 and CAC in Intermediate Class. 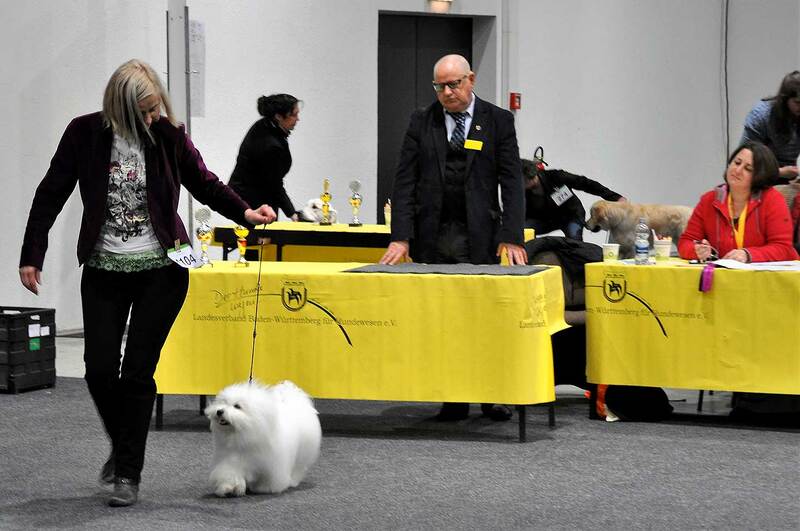 Cotonbrie Narciso got a EXC 1, Jun.CAC, Best Junior and was BOB in Junior Class. 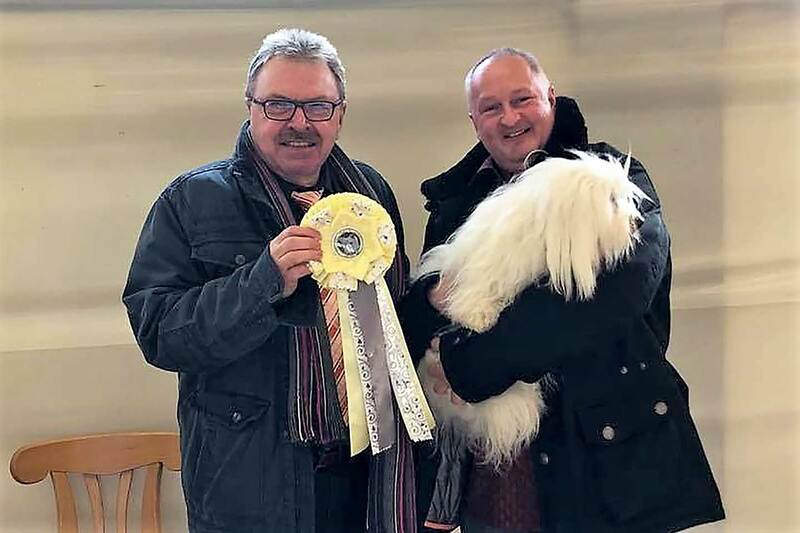 He was also Best Junior Show. 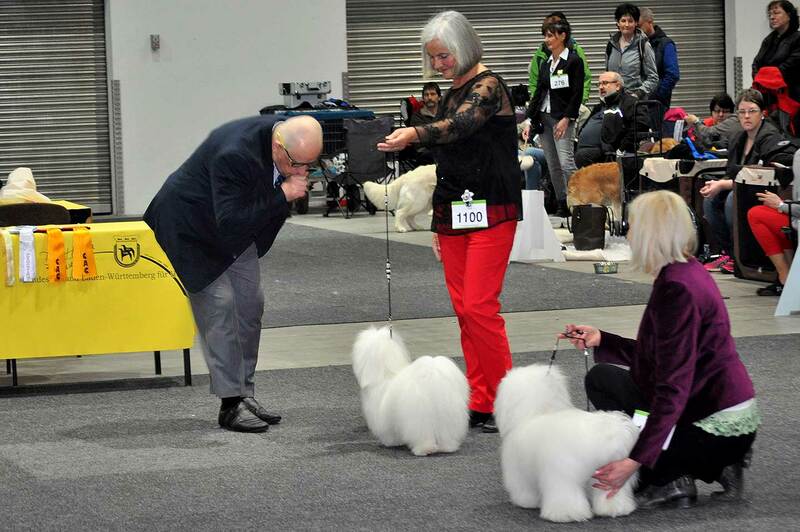 Cotonbrie Narciso got a EXC 2 and Res.Jug.CAC. 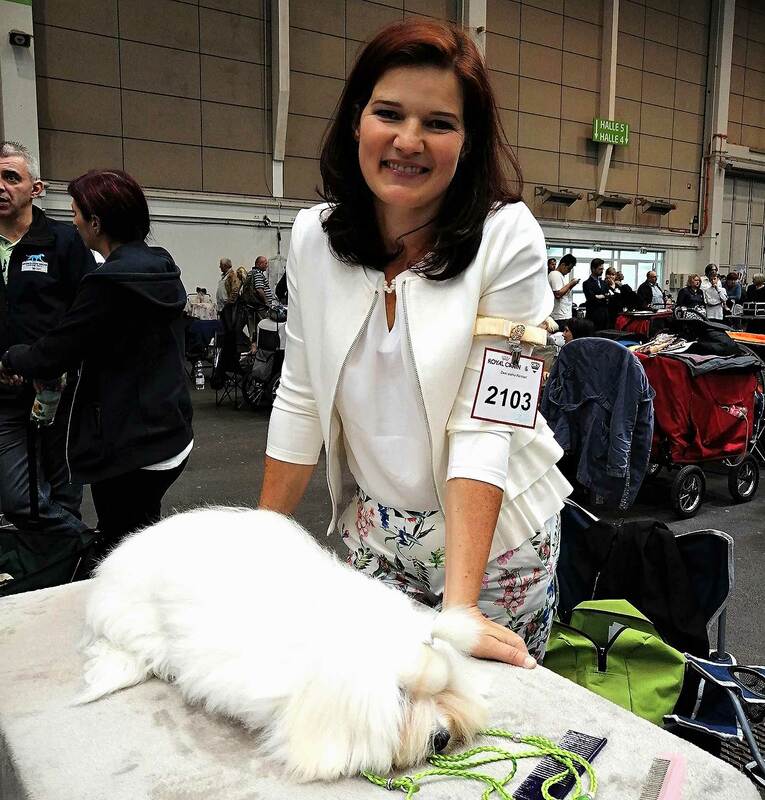 Cotonbrie Narciso got a EXC 1, Jun.CAC and was Best Junior in Junior Class. 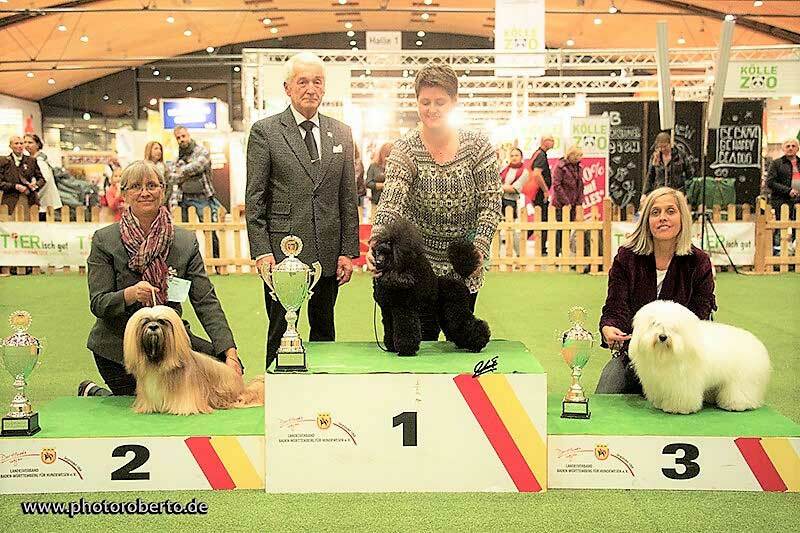 He got the title Juniorwinner Franconia. 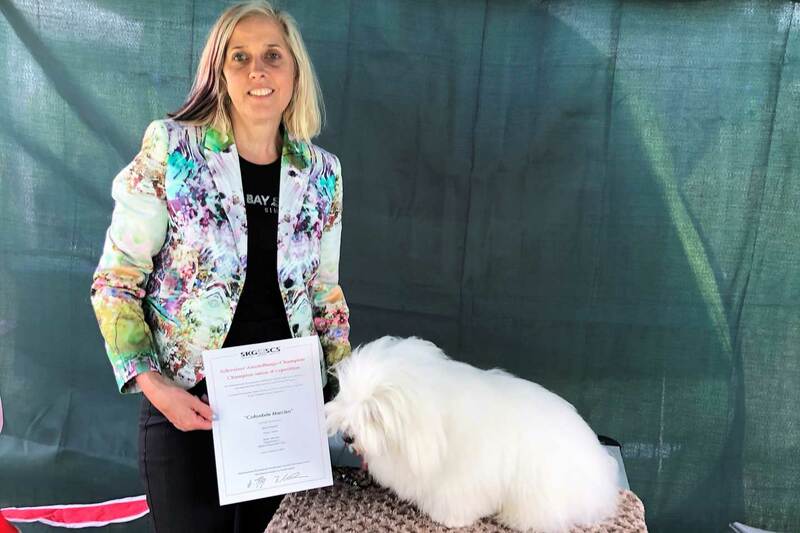 Qumaira vom Donauvillino got a EXC 1 and CAC in Open Class. 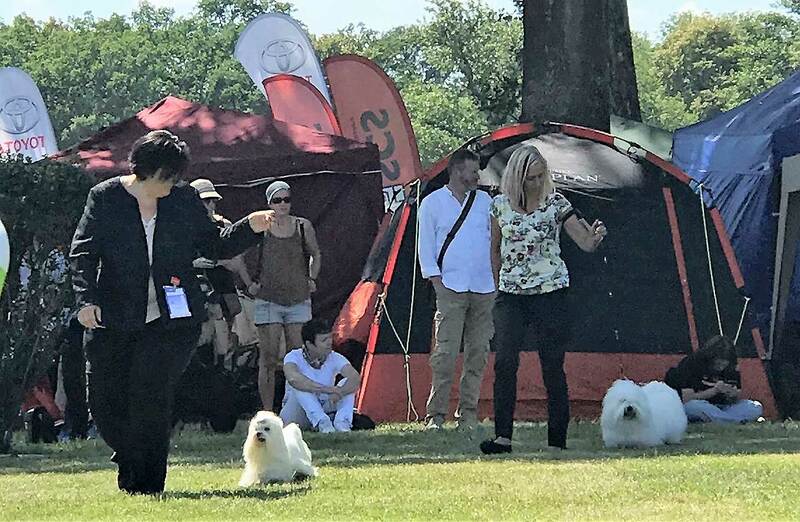 Cotonbrie Narciso got a EXC 1, Jun.CAC, Best Junior and was BOB at his first show in Junior Class. 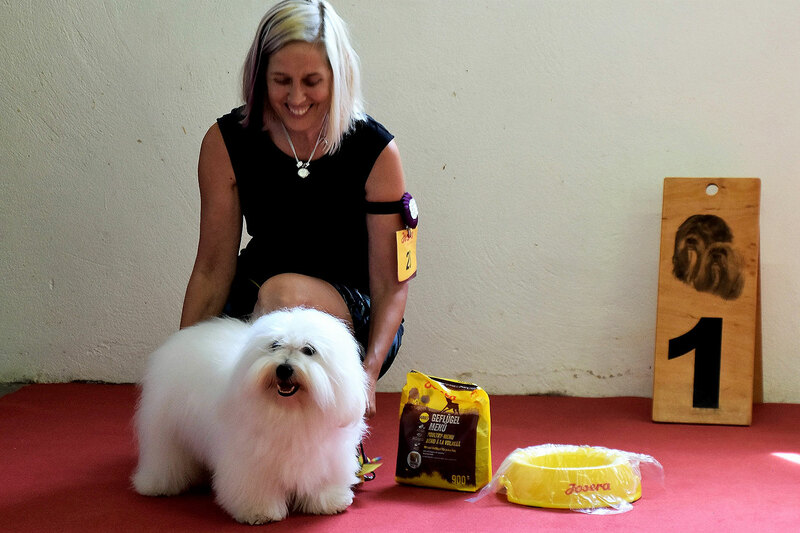 He got the title Alpen-Juniorwinner.